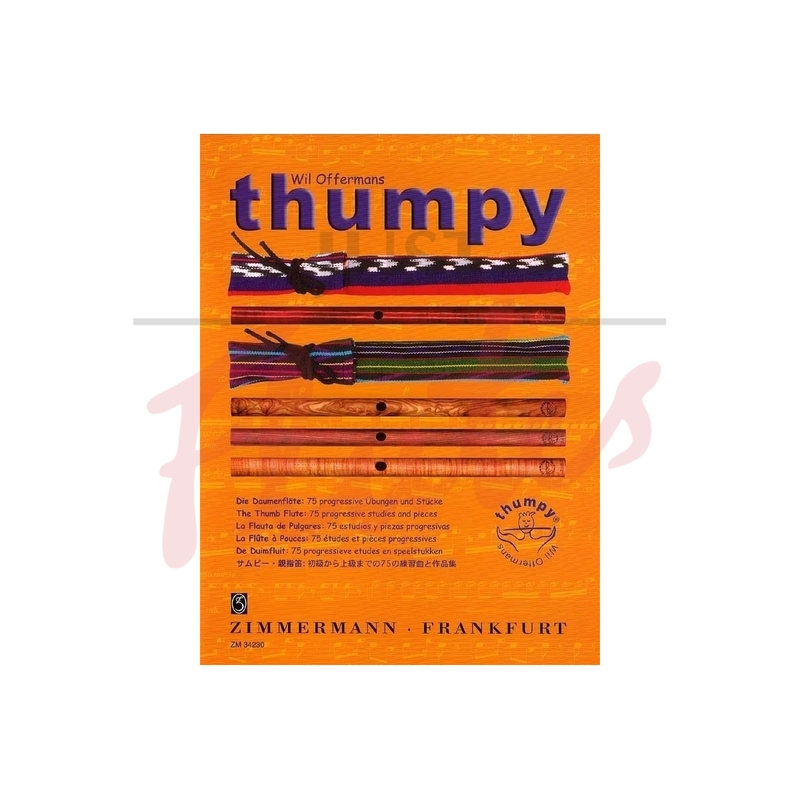 ‘Thumpy’ is a simple ‘thumb flute’ and this wonderful book is full of interesting ways to use it..This wooden tube is open at both ends, the blowing hole is in the middle and the 5 notes are made by opening and closing the ends with the thumbs. 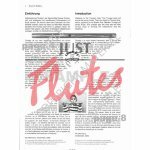 The Quick Start Guide is great if you already play the flute, but the first part of the book is aimed at complete novices. After that, Offermans really gets going, with instructions on how to make the instrument work creatively. It’s obviously great for children and also for the more advanced as a way of increasing embouchure flexibility. In any case this is another way of using your imagination and having fun! 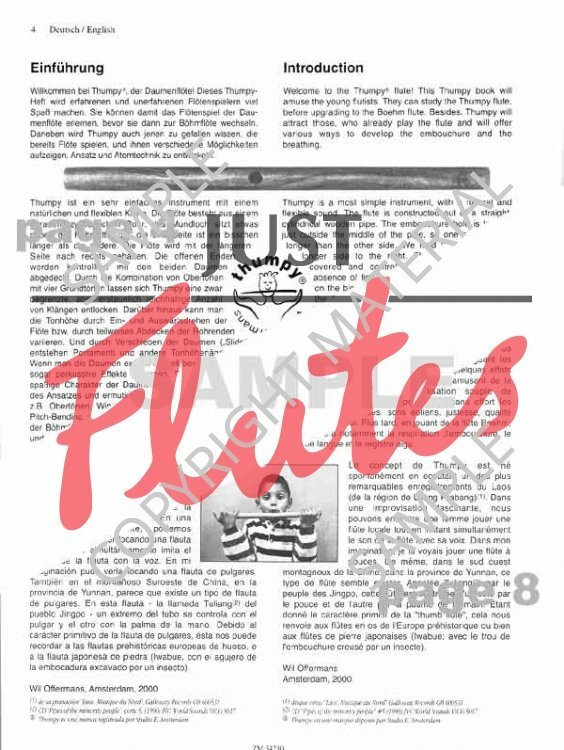 The 'Thumpy' book by Wil Offermans introduces the 'Thumpy' flute and its technique in 75 progressive solo and duo pieces.